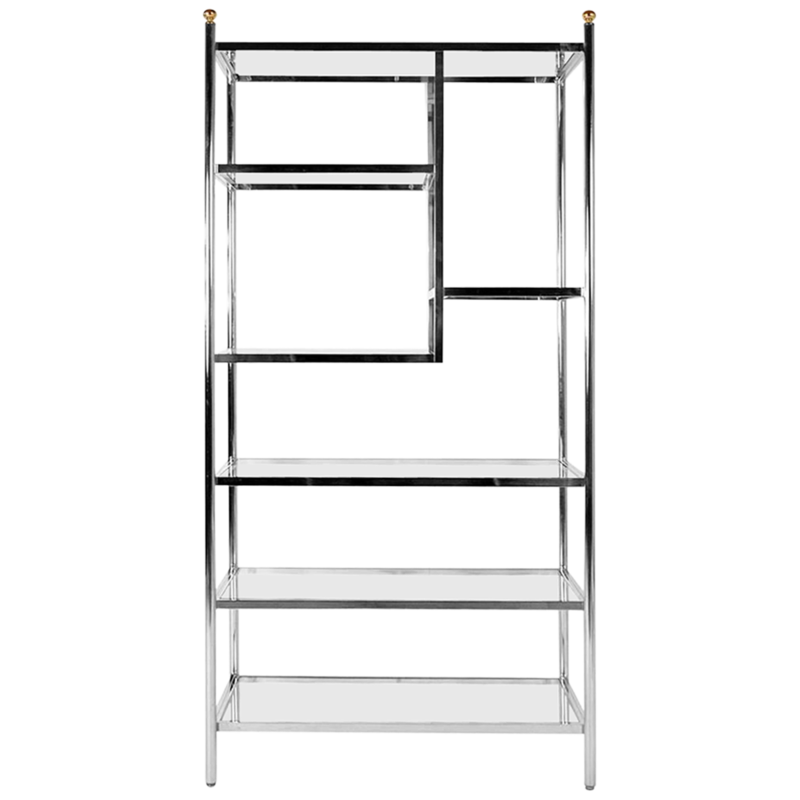 Why we love it: Chrome is back in a big way, especially when it comes to shelving. 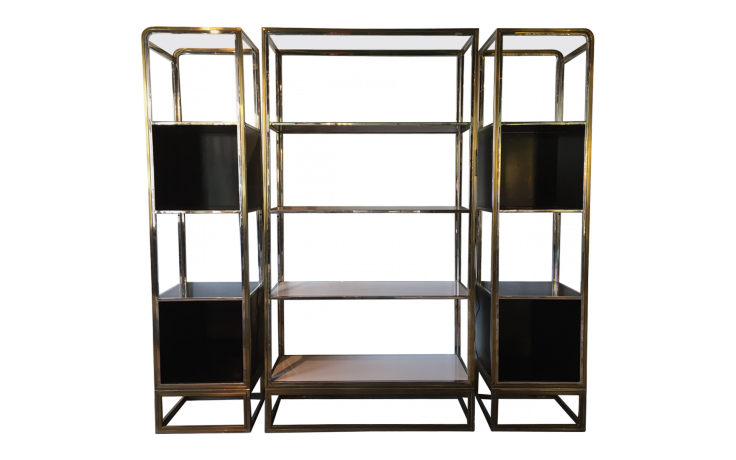 This vintage piece is ideal for composing an artful display of books and accessories, thanks to the interesting variations within the shelving. Why we love it: Warm brass contrasts against cool nickel in this storage piece, designed by Tracey Boyd. The étagÃ¨re evokes the glamour of the Hollywood Regency period, though the clean shape allows it to work with a variety of décor styles. Why we love it:Â A little brass can go a long way, but when it goes bold, the effect is head-turning. 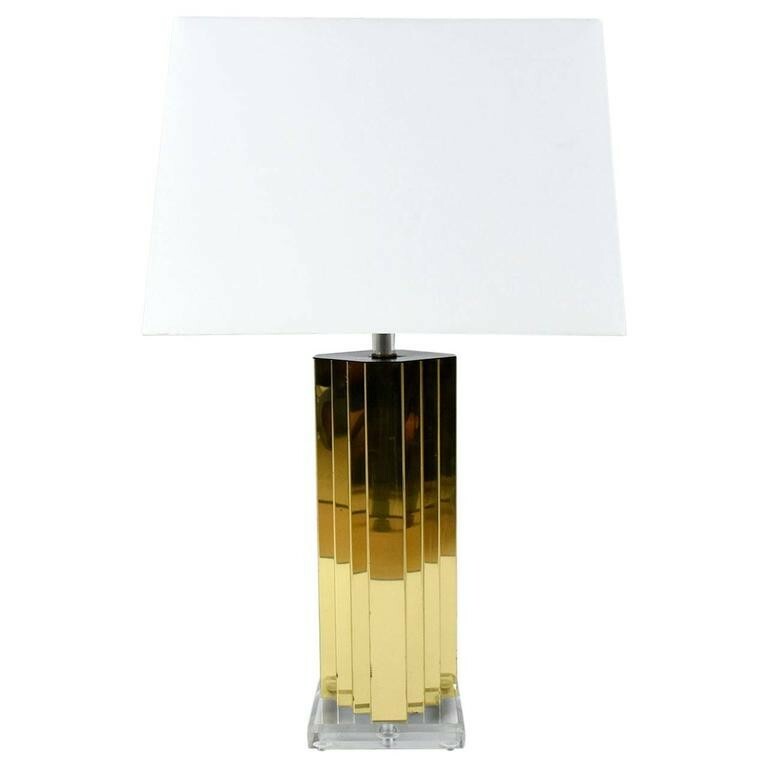 This vintage lamp has a sculptural base that definitely will become the focal point in a living room. 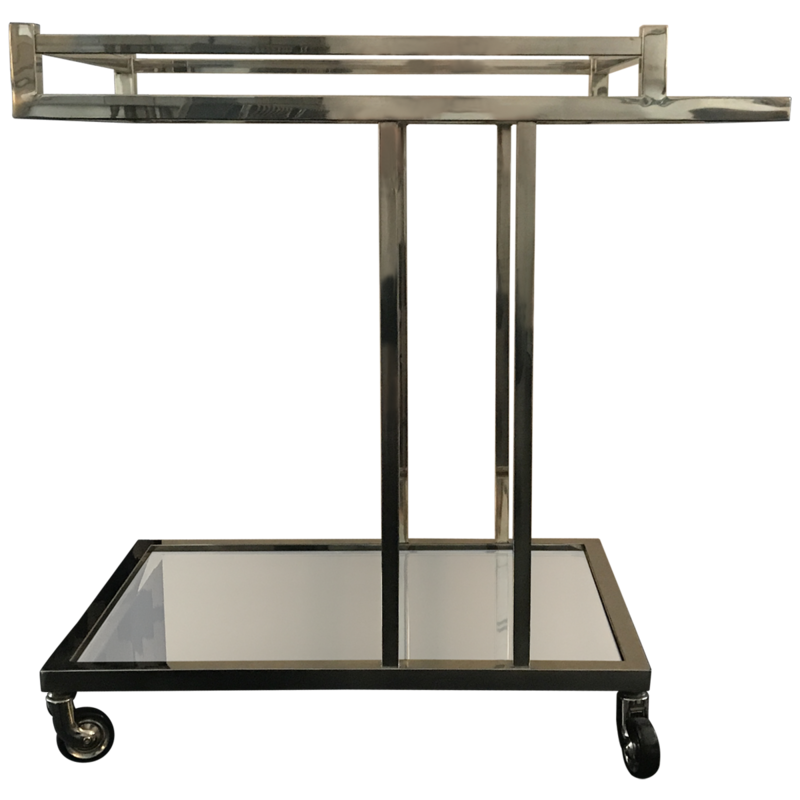 Why we love it: Polished nickel and tempered glass make for an exquisite cart that was inspired by the streamlined styles of the Art Deco period. Though it’s handy for a party, the piece adds a little extra elegance to everyday life. Why we love it: This stunning console table lends drama to dining rooms, foyers, and living rooms. 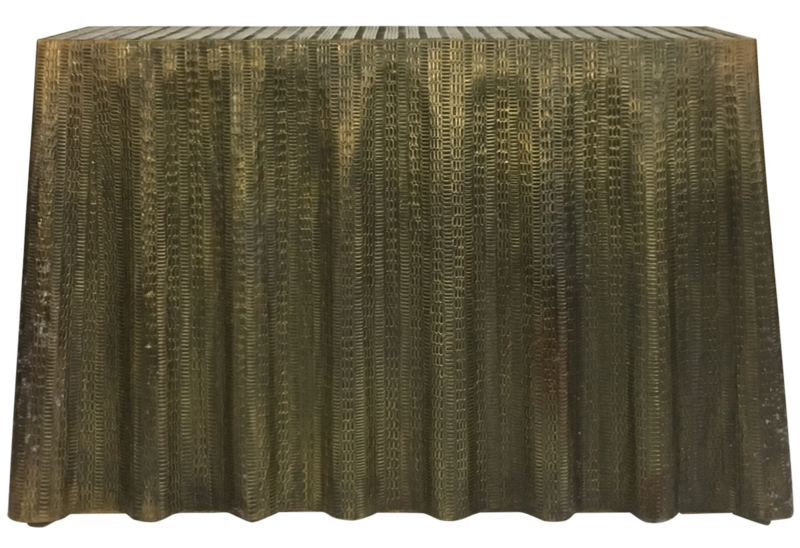 Made of antiqued brass that was hammered by hand to give the metal the flowing look of fabric, it’s a conversation piece like no other. Why we love it: The slender polished steel beams that comprise the base gorgeously reflect the environment around it in a subtle way, allowing the base to take on the appearance of different colors depending on the time of day (and the pieces surrounding it). Try placing it on a colorful rug to take full advantage of this effect. Why we love it: This sculpted stool adds a little whimsy to an interior. We love this as an accent piece in a seat grouping, but it would also be a fun addition to an entryway or bedroom. 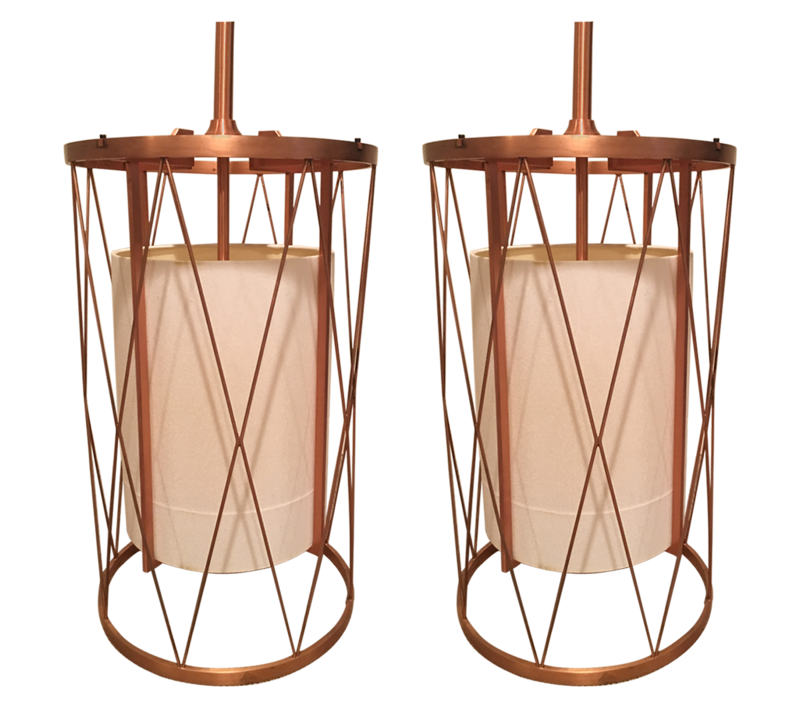 Why we love it: These gleaming copper pendants can go in either a contemporary or an industrial-chic direction depending on your décor. They make an interesting alternative to typical chandeliers when placed over a long dining table, but are also a natural choice for using over a spacious kitchen island. 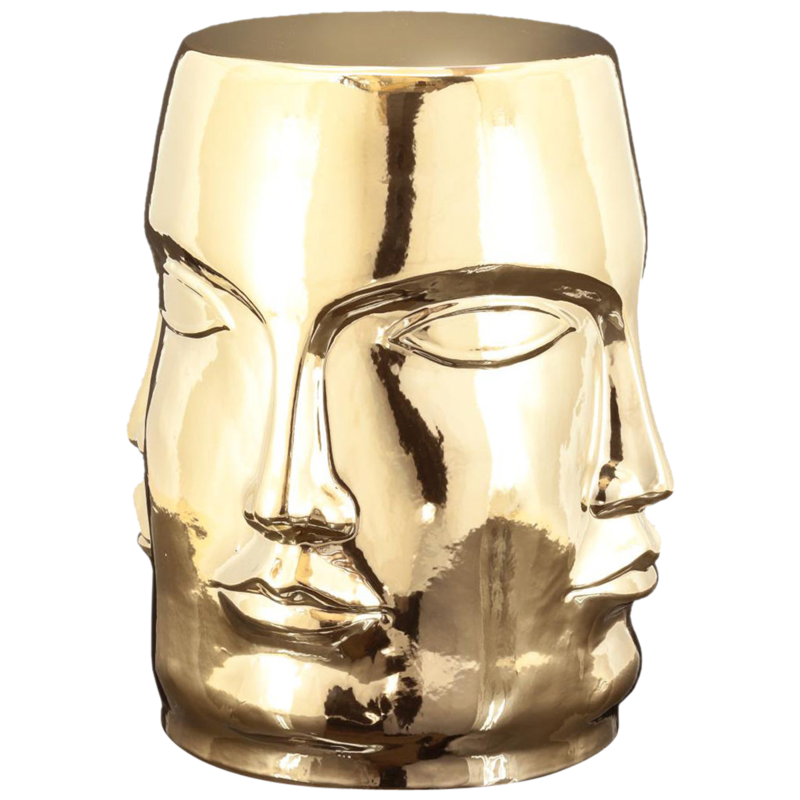 Shop more metallic finds on Viyet!